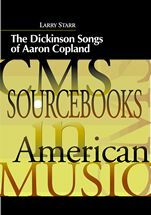 Dedicated to landmark compositions and creative performances, the CMS Sourcebooks in American Music series demonstrates the remarkable scope of musical expression in the United States. Prepared by recognized scholars and directed to students, teachers, and interested readers in other disciplines, these sourcebooks serve as summaries of past scholarship, identify materials for further study, and offer fresh historical and critical assessments. There could be no more fitting subject for the opening volume of this endeavor than Copland's Twelve Poems of Emily Dickinson. Long a favorite of performers and audiences alike, this inimitable cycle of art songs created at mid-century by a highly distinctive voice in American music pays tribute to one of America's revered poets, herself a pioneer of "the modern" on her own terms. 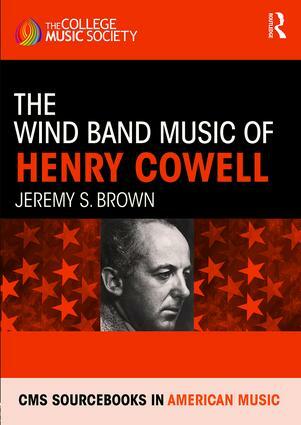 Professor Starr convincingly identifies the shared aesthetic affinities of the poet and the composer in spite of the social, artistic, and chronological gaps that separated them and explains the pivotal nature of the work in Copland's output. He then sensitively describes the singular musical solutions devised for each poem, all the while emphasizing the composer's respect for the idiosyncrasies of Dickinson's verse. Commentary on the original version for soprano and piano is supplemented by information on Copland's later orchestrations for selected songs, a discussion of performance and interpretation, and details concerning the work's history on recordings. For the reader's convenience a compact disc with performances of Twelve Poems by Adele Addison with the composer himself at the keyboard and of Eight Poems by Barbara Hendricks and the London Philharmonic Orchestra under the baton of Michael Tilson Thomas is included with the text. Paperbound 7 X 10; xiv + 224 pp. Neil Minturn addresses the phenomenon of rock and roll with a serious investigation of Martin Scorsese's documentary film The Last Waltz (1978). This celebrated "rockumentary" artfully captures for posterity the final public performance of The Band, a partnership of one American and four Canadians that yielded an impressive body of popular song in the rock idiom between 1961 and 1976. Joining its members for their farewell was a variety of friends and guests who—like the music of The Band itself—reflected the rich array of vernacular expressions that have nourished rock and roll since its emergence. Professor Minturn approaches the performances and the film itself in terms of the concepts of intimacy and tradition. He presents the San Francisco concert as the summation of an extraordinary musical pilgrimage and prefaces his scene-by-scene analysis of Scorsese's cinematic creation with a cogent introduction to issues surrounding documentary film-making. Selected performances are discussed in detail. Between 1925 and 1928 the Hot Five—the incomparable Louis Armstrong and four seasoned practitioners of the burgeoning jazz style—recorded thirty-three performances in Chicago for the OKeh label. Oddly, the quintet immortalized on vinyl recordings rarely performed as a unit in local nightspots. And yet, like other music now regarded as especially historic, their work in the studio summarized approaches of the past and set standards for the future. Remarkable both for popularity among the members of the public and for influence on contemporary musicians, these recordings helped make "Satchmo" a household name and ultimately an adored public figure. They showcased Armstrong's genius, notably his leadership in transforming the practice of jazz as ensemble improvisation into jazz as the art of the improvising soloist. In his study Professor Anderson—for the first time—provides a detailed account of the origins of this pioneering enterprise, relates individual pieces to existing copyright deposits, and contextualizes the music by offering a reliable timeline of Armstrong's professional activities during these years. All thirty-three pieces, moreover, are described in informed detail. A CD with twenty of the original recordings is included. Paperbound 7 X 10; xv+ 249 pp. A secular work with sacred Hebrew texts and a "hint of Broadway"—commissioned by an Anglican cleric for a British choral festival to be held in a medieval cathedral and written by a popular American composer of Jewish heritage in his own eclectic style—would certainly attract widespread interest. 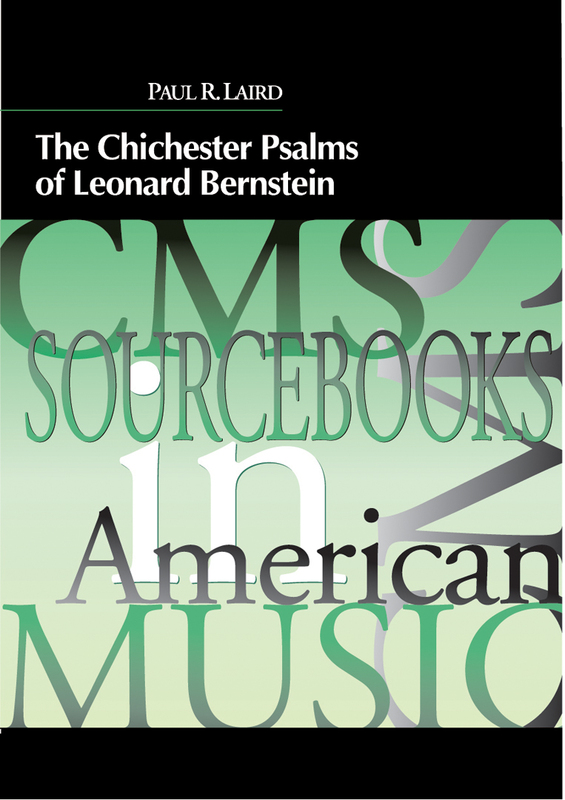 In fact, since its 1965 premiere, Chichester Psalms by Leonard Bernstein has taken its place in the concert repertory as the most frequently performed piece of twentieth-century American choral music. In his thoughtful study Professor Paul R. Laird traces the unusual genesis of the work from sketches conceived for other projects and describes in detail the musical content of the final form of its three movements. 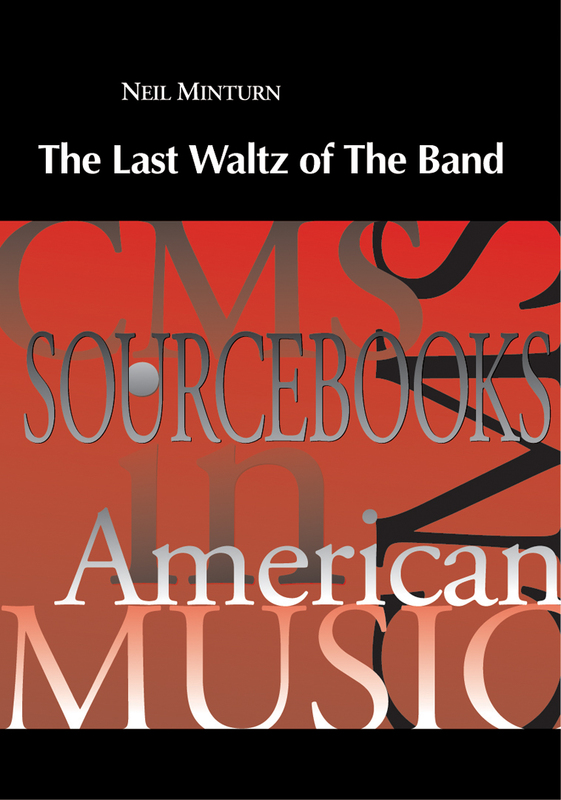 Published for the first time with the author’s commentary are the complete correspondence between Dean Walter Hussey and the composer, a survey of published criticism that greeted its first performances on both sides of the Atlantic, and an accounting of emendations to two performance scores in Bernstein's own hand. In the wake of World War II jazz musicians found themselves confronting transition as well as opportunity. Big band swing and "sweet" commercial music, once so popular, had peaked as social diversions and were, in a sense, victims of the War. A handful of young African-American musicians challenged the function of jazz as entertainment and dance music with a hot, uncompromising new idiom: bebop. Their revolutionary efforts were soon followed by explorations in harmony, orchestration, counterpoint, and meter that were perceived as cool. 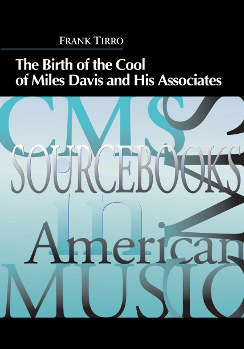 In this volume Professor Tirro considers systematically the cele-brated recordings made between 1949 and 1951 by the Miles Davis Nonet, performances that, after the fact, became known as the Birth of the Cool. 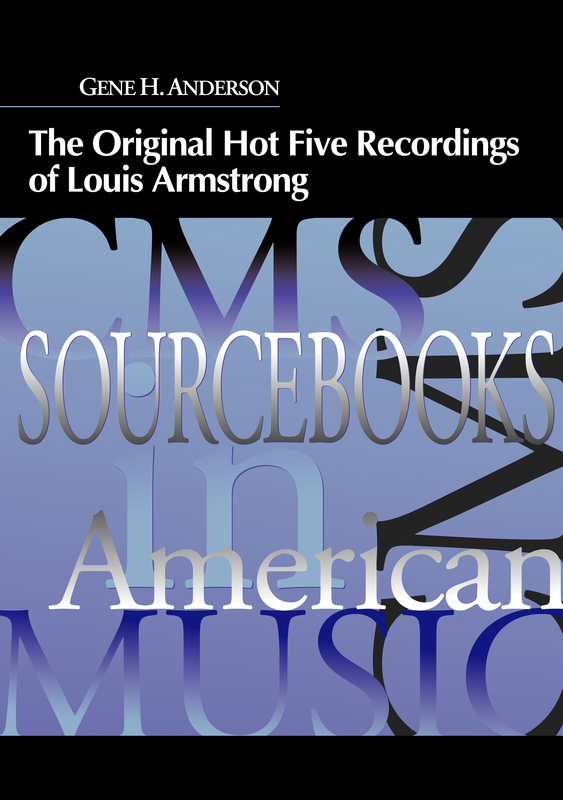 In addition to identifying styl-istic precedents and to stressing the connection of various participants to the Claude Thornhill Band, he convincingly summarizes the attributes of cool jazz, describes the professional context that generated these landmark recordings, and directs the readers' attention to the contributions of arrangers and performers alike. Discussions of the music are organized by arranger: Gil Evans, Gerry Mulligan, John Lewis, and John Carisi. Evans, Mulligan, Lewis, and Davis must be considered unqualified titans of modern jazz; their collaboration in this endeavor is but one fascinating, artistically rewarding episode in long, distinguished careers. A compact disc with relevant selections accompanies the text. Paperbound 7 X 10; xi + 129 pp. Boyhood in a small Connecticut town, the imprint of a free-thinking father, a formal music education at Yale University, a lucrative career as a New York City insurance executive, and a personal philosophy balancing individuality and idealism: these are the conditions that formed and informed the controversial music of Charles Ives. His works were rescued from obscurity--in many instances, long after their creation--and introduced to the concert world. For some time the accomplishments of this Yankee renegade have been recognized as central to the American musical experience. 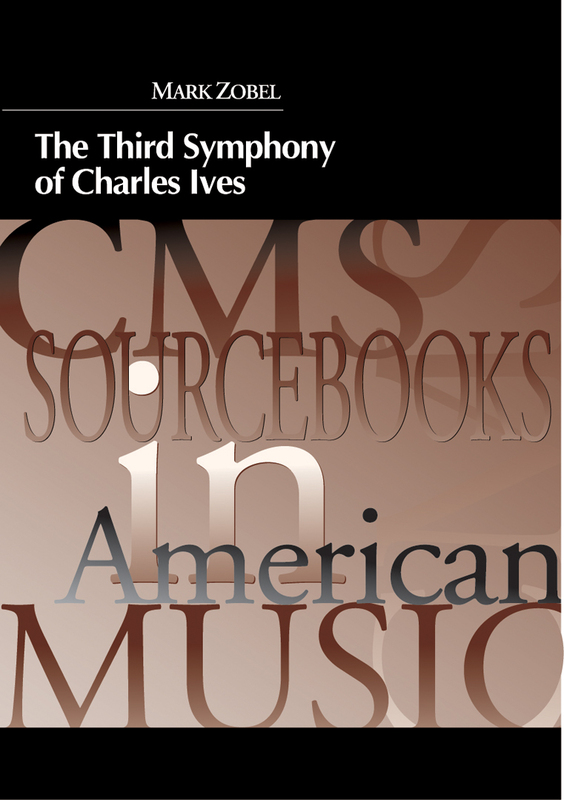 His Third Symphony, conceived early in the twentieth century and only given its premiere in 1946, was identified by the composer himself as a pivotal effort in his compositional odyssey and, perhaps ironically, earned him the Pulitzer Prize in 1947.In this study Dr. Zobel reviews the complicated narrative of the Symphony's composition, explains why Ives considered it a turning point between the "old ways" and the "new ways," explores the structural implications of its camp-meeting program and the sophisticated manipulation of hymn tunes in its fabric, and places it in the context of Ives's idiosyncratic worldview. In the process he interprets the timing of its first public performance as a means to appreciate evolving attitudes toward modernism in the American musical establishment. The text is enhanced by a sampling of critical commentary dating from the past sixty years. Asserting that John Cage's innovations from the late 1930s and 1940s represent much more than a transitional phase in the American composer's sonic and philosophical journey, composer and theorist Thomas DeLio focuses his analytical energies on Amores, an economical four-movement quartet dating from 1943. This particular chamber work calls attention to Cage's dedicated expansion of musical resources by his creation of a repertory for percussion instruments as well as one for an instrument of his own invention, the prepared piano. In this study the piece is interpreted by Professor DeLio as a singular movement in music history: the reconciliation of what the author has identified as organic and inorganic approaches to composition central to the evolution of music during the twentieth century. In doing so, he surveys the relevant thoughts of prominent aestheticians and places the piece at a nexus of what some have labeled Modernism and Postmodernism, but which DeLio understands as two branches of Modernism itself. 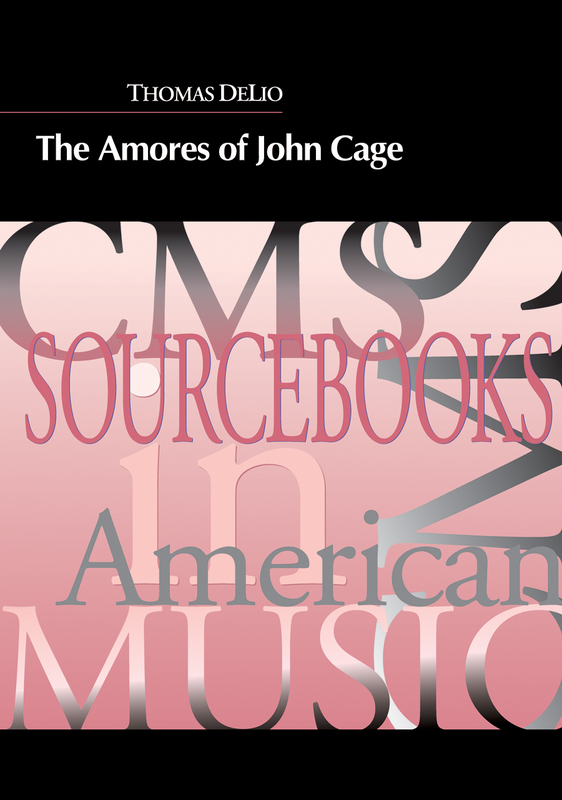 Accompanying the text is a compact disc containing an especially memorable recorded performance of Amores, one first issued in 1961 featuring Cage himself in the two movements conceived exclusively for the prepared piano. In 2011 over 29,000 hits for Adagio for Strings could be found on YouTube alone. There are fascinating connections to poetry and fiction, paintings and sculpture, ring tones and crossword puzzles. Wayne Wentzel's study of this beloved work represents the most exhaustive consideration to date. He not only provides a well documented account of its birth and infancy but its adolescence--when it moved beyond the expected concert setting--and its maturity--when it became a pervasive feature of Western culture in both its cultivated and popular realms. Musical analysis and references to a host of testimonials and assessments are bolstered by discographical and bibliographical reports. 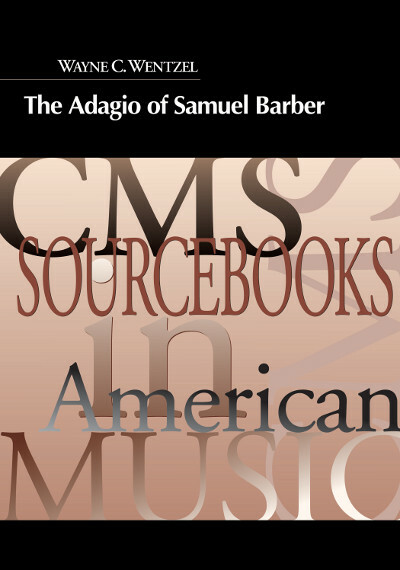 Professor Wentzel concludes the volume with thoughtful speculation on the meaning of Barber's masterpiece and wrestles with inevitable and yet controversial questions: Is it American? Is it sad? Is it gay? And, after more that seventy-five years, is it trite? A compact disc presenting an assortment of well-known performances for various media accompanies the text. 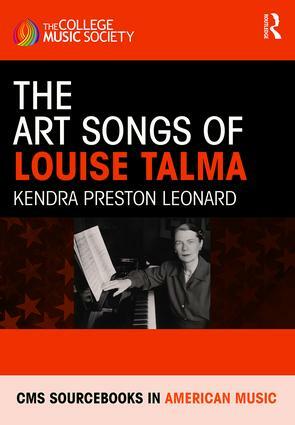 The Art Songs of Louise Talma presents some of Talma’s finest compositions and those most frequently performed during her life. It includes pieces appropriate for beginning, intermediate, and advanced singers and collaborative pianists. The songs include text settings of American, English, and French poets and writers, including Native American poems, works by W. H. Auden, Elizabeth Barrett Browning, Emily Dickinson, e. e. cummings, John Donne, Gerald Manley Hopkins, William Shakespeare, and Wallace Stevens, as well as poems from medieval France and religious texts. Because of the popularity of Talma’s choral works and the fact that her works for voice and piano were performed often, this sourcebook will be useful to singers at all stages of their careers, as well as scholars of twentieth-century music as a whole. The diversity of compositional approaches Talma used provides a snapshot of American trends in composition during the twentieth century; during the course of her career, Talma moved from neo-classicism to serialism and finally to non-strict serial-derived atonality in her works. Inclusion of performance and reception histories of the songs helps trace changing public taste in American art song and the repertoire of performers, particularly those interested in contemporary music.